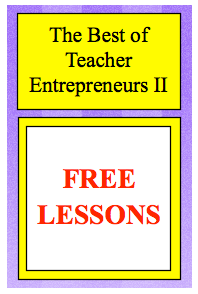 The Best Teacher Entrepreneurs on the Internet! Clip Art - Crayon Kidz! "PARCC Math BUNDLE Pack - ALL CCSS included!" Language Arts - "Sentence Repair: Capitalization"
Clip Art, Frames and Borders - "Owl Mega Bundle"
"PARCC MATH 4TH GRADE NBT STANDARDS"
FREE Clip Art - Valentine's Day! Language Arts Lesson - "Making Connections"
Language Arts-"Snowman Sight Word Necklaces"
"PARCC 3rd GRADE BUNDLE PACK ALL MATH CCSS"
Math Lesson - "Probability Cutouts"
Language Arts - "Pirate Sequencing Activities"
Language Arts - "Cause and Effect Matching Game"
Math - "PARCC Problem of the Day Bundle Pack"